From block parties to parades, tutus to onesies, champagne to shots, Mardi Gras trumps any other celebration ever. People from all over the country (maybe even the world) visit New Orleans for this event. College students enjoy spring break before their spring break. Families enjoy the week of beads and music, too. The entire city shuts down and crowds fill the streets. While Mardi Gras may seem all fun and games to those who have never been, a lot of planning goes into the celebration. 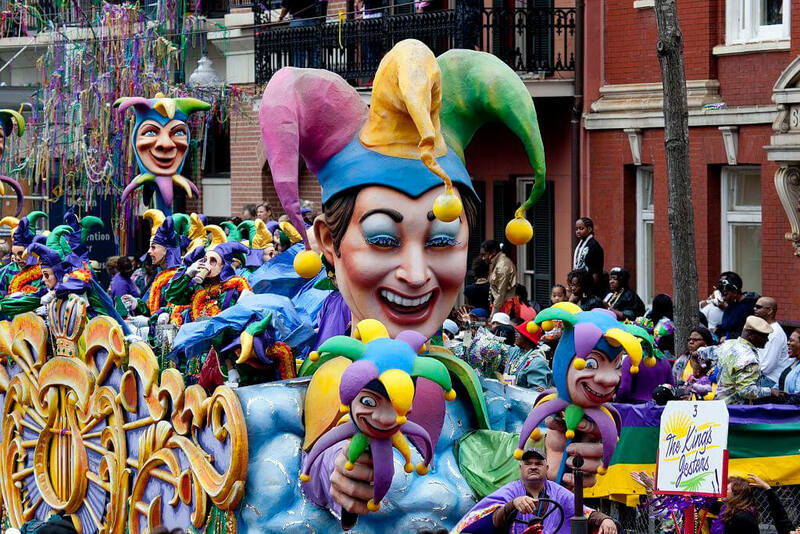 Prepare to party all week long and get the most out of your Mardi Gras experience. Like any important event in life, what you wear is of the utmost importance. In this case, Mardi Gras loves being the craziest—anything goes. You will find people wearing bright leggings, body paint and crazy wigs. Pro-tip: Amazon will be your best friend. “I would say the best things to wear are printed, patterned leggings and a big graphic t-shirt. Comfy > cute for the long days,” said Tulane University sophomore Alex Stone. Onesies, tutus, body suits—anything out of the norm is fair game. Who cares if you don’t think it’s stylish? 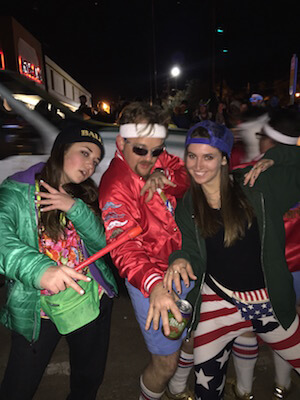 You’ll see almost everyone wearing a fanny pack at Mardi Gras. If you plan to celebrate all day, make sure a fanny pack makes it to your prep checklist. Your pack can fit your phone, wallet and a mini bottle of wine if necessary (which it will be). 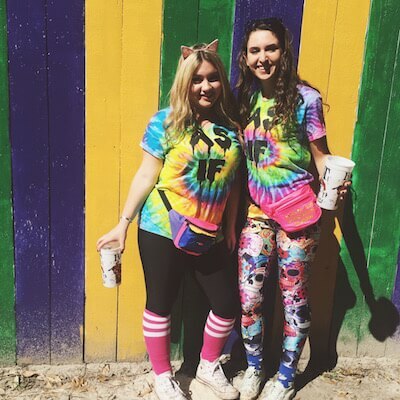 “Always make sure to have a fully-stocked fanny pack with hand sanitizer, baby wipes and snacks,” said Tulane University sophomore Sara Cohen. The more stuff your fanny pack holds, the easier your day will be. Your phone battery won’t last all day. That’s where portable chargers come in handy; not just for the pictures (even though that’s important) but also to make sure you’re never alone. “Bringing a portable phone charger is so important because not only do you need to be in contact with your friends, but you’ll want to take pictures of everything too,” said Tulane University sophomore Logan Pincus. As long as you have a charged phone and a place to put it (your fanny pack), you’re ready to roll. The buddy system works—until you lose your friends. Connect with your friend’s iPhones so you can track each other easily. You’ll also want to designate a meeting spot. Many places on the parade route count as a perfect spot to reconvene with your crew, like the McDonald’s nearby or a specific tent. Catching beads is fun until you realize you’re doing it all alone next to two creepy drunkards. Mardi Gras lets you let loose and have fine. Experiencing this celebration with all of your friends makes it that much better, so be sure you know the exact way to not lose them. Sorry health freaks: Mardi Gras will not help your diet. But if there were ever a good time to pick a cheat day, Mardi Gras takes the cake. 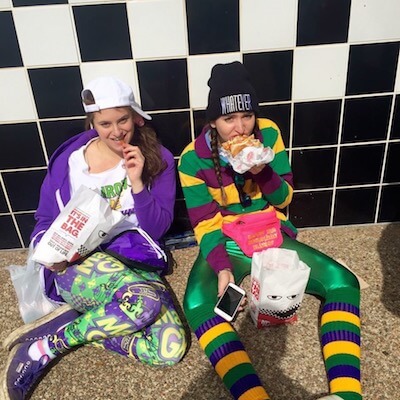 “You’re definitely going to need a pre-Mardi and post-Mardi diet because probably the only thing you will consume food wise during those six days are chicken nuggets and fries. I like to diversify it though and switch off between Rally’s and McDonald’s,” said Tulane University sophomore Dawn Edelman. Most places close during Mardi Gras, so grocery stores will probably run low on items. But since you already have your handy-dandy fanny pack with snacks, you won’t get too sick of McDonald’s and Rally’s. During Mardi Gras, people will always have two things in their hands: alcohol and water. Mix the New Orleans heat with huge crowds and lots of alcohol and you’ve got yourself a headache. So drink lots of water before and during Mardi Gras…and then lots afterward. Recovery from Mardi Gras won’t come immediately. Drinking water throughout Mardi Gras will make the recovery a little easier on you. Maybe add in some bread and mac and cheese, too. Because why not? Know the schedule like the back of your hand. Planning out the parties and parades with your crew and figuring out transportation makes life much less stressful. Don’t try to plan out your day in the huge crowds filled with drunk people. You’ll find yourself confused and in the midst of chaos. 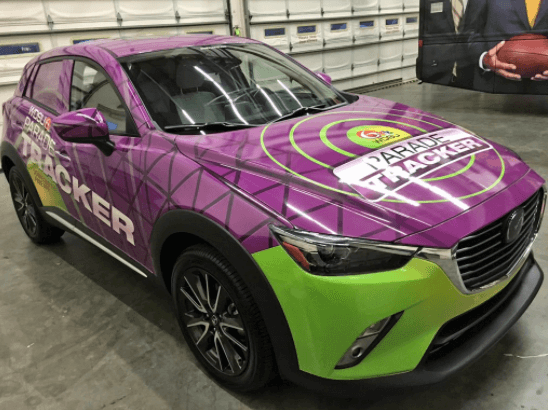 Download the parade tracker app, WDSU Parade Tracker, on your phone before Mardi Gras starts so you don’t miss out on the small, yet fun, parades most people don’t even know exist. Consider yourself stingy? Mardi Gras will change you. Banks will close and you’ll inevitably run out of cash, so make sure to bring along your stacks. A lot of bathrooms will charge a dollar or two to use them, and people will get arrested for public urination. Don’t be those people. Also, many food and drink vendors will only accept cash, so those handy debit cards won’t serve much purpose at Mardi. If anything, keep your cash in hand for out-of-cooler daiquiris handed out along the parade route. While the parties are quite literally all the rage at Mardi Gras, you can’t forget about the parades. 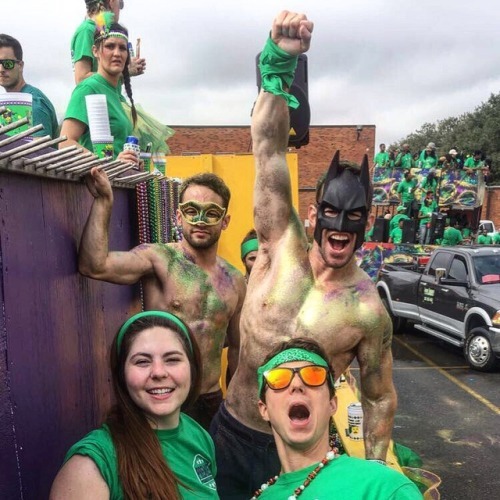 “Don’t get too caught up in all of the drinking and parties that you don’t even get to see the parades,” said Tulane University sophomore Leah Howard. Parties happen all the time, but there is truly nothing like the excitement of a Mardi Gras parade—the adrenaline from everyone else mixed with the costumes and carefree-happiness filling the air really cannot be beat. College students in NOLA know what I mean. Mardi Gras lasts for five days. Five days of going hard. Partying from the second you wake up until you go to bed (which is probably for only a few hours) gets exhausting. Don’t sprint at the beginning because you won’t want to miss out on Mardi Gras’ finish line. Everyone waits for the last night of Mardi Gras, Tequila Sunrise. By the way, if you stay awake until the sunrise you get some real street cred (even though most people do it). Pace yourself so you can have the best time throughout Mardi Gras.